According to the Russian Ministry of Defence (MoD), Russian jets, including Su-34 fighters, Su-30SM, Su-24, Su-34 and Su-25 attack aircraft, participated in a series of military exercises in the Caspian Sea along with the Russian Navy Caspian Flotilla about a week ago. In total, about ten naval ships of the Caspian fleet and about 50 aircraft were involved in the war drills. Days later, a video surfaced on social media showing a successful air-launch of a Kh-31 (Russian: Х-31; AS-17 ‘Krypton’) supersonic missile by a Su-34 fighter. The Kh-31 is a supersonic air-to-surface anti-ship missile, which can reach speeds of Mach 3.5 (2,685 mph), making it remarkably hard for Western military vessels to protect against it. The missile uses the target’s radio emission source and, depending on the model, can strike ships within a range of 15-110 kilometers (for the basic model Kh-31A) or 7.5-160 kilometers (for the Kh-31AD). The 2-minute video shows a behind the scenes start to finish view of what it takes to air-launch the supersonic missile. The video begins with Russian military support staff instructing the Su-34 of a mock enemy ship that needs to be eliminated. About 25 seconds in, the fighter launches the missile. At the 42 second mark, the Kh-31 traveling at 3.5 Mach is seen slamming into the vessel, causing debris to fly into the air as the ship sinks. Southern Military District (SMD) press officer Vadim Astafiev said the Russian Navy used a decommissioned vessel from the Caspian Flotilla for the exercise. 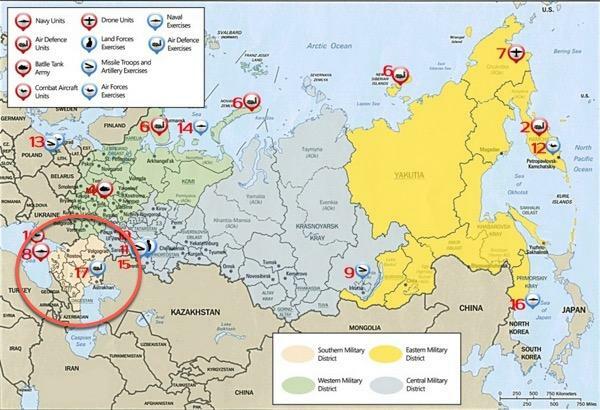 The SMD is one of the five military districts of the Russian Armed Forces, with its jurisdiction primarily within the North Caucasus region of the country, and Russian bases in South Caucasian post-Soviet states. One must ask: Why is Russia launching supersonic missiles in the Caspian Sea?… Well, Moscow is strengthening its naval deterrence against the US political elite who have been instrumental in disrupting the economic integration of Eurasia. 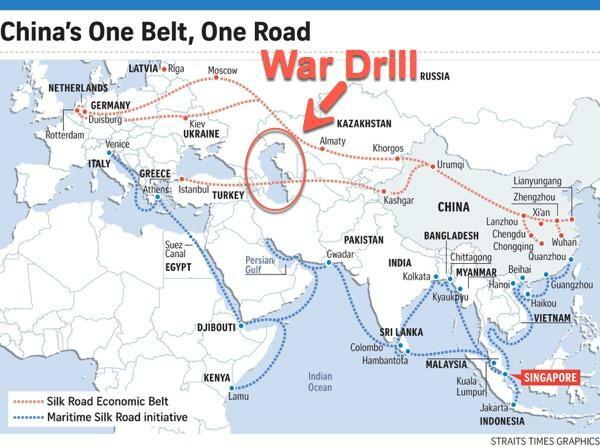 In other words, Washington has been trying to ruin the One Belt One Road comprehensive strategy of Russia and China, as it now seems, Russia has had enough.